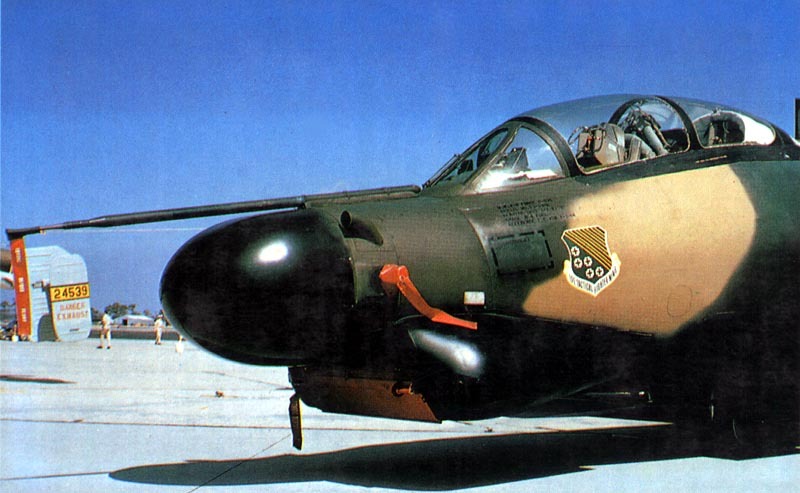 Twenty-five years after its conception as a night intruder, the B-57G was developed. As the 8TBS closed its operation at Phan Rang in 1969, sixteen B models were modified as G models by Martin at Baltimore with Westinghouse-developed sensing and tracking systems. At MacDill AFB, Florida, the 13TBS (the original B-26 night intruders in Korea who changed to B-57s and then deactivated) reactivated and deployed 11 aircraft to Ubon, Thailand. At 4000-6000 feet, the pilot was directed by the aircraft's Flight Director System using ranging laser. Changes in original techniques were developed by crews to keep track of the guided bomb at weapon release when a 2g pull was initiated followed by a zero g maneuver until bomb impact. The bombs hit with an accuracy of 15 feet as reported by analysis at higher headquarters.